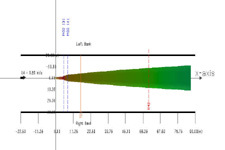 Do you want to see the 3-dimensional characteristics of your regulatory mixing zone? 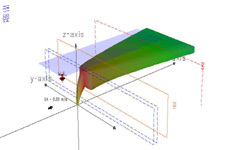 Would your clients needs be satisfied by visualization of mixing zone near-field and far-field properties? If so, then the advanced capabilities of CorVue may be your best solution. 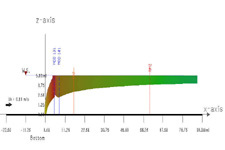 This advanced tool allows the analyst to easily assess plume regulatory mixing zone behavior for CORMIX1, CORMIX2, and CORMIX3 simulations. Quickly visualize boundary interactions and density current upstream intrusions for efficient documentation of regulatory compliance. Color plume visualizations for Windows. 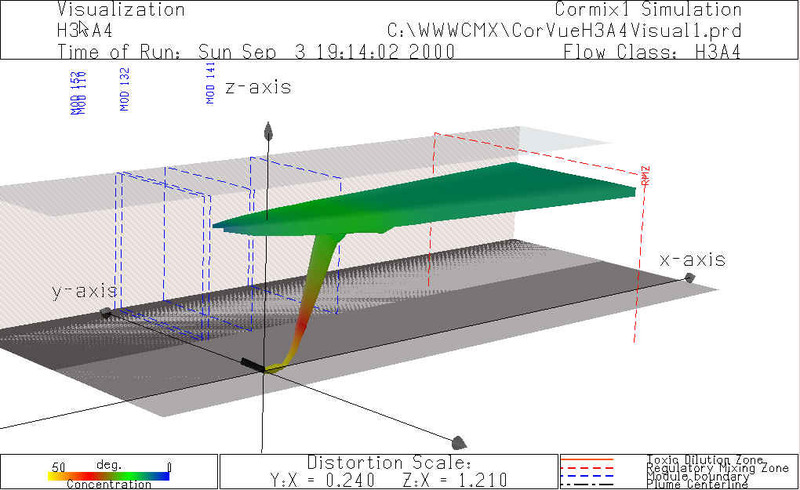 Visualize prediction file output for CORMIX1, CORMIX2, and CORMIX3 simulations. View regulatory mixing zones, including CMC and CCC locations. 3D, x-y (plan) and x-z (side) view of plumes including boundaries. Near-field and far-field views including density currents with upstream spreading and passive diffusion. Concentration vs. x-coordinate distance; concentration vs. centerline distance. Ability to zoom, move, and rotate views. Ability to focus on region of interest. Distortion scaling for 3D and 2D views. Concentration Plots of Trajectory vs. Lateral Distance. CorVue - Interactive plume visualization tool (Click for a larger PDF image). A CorVue 3-D view of TDZ and RMZ locations for a CORMIX1 simulation of flow class V2 (larger image). Corresponding side view of TDZ and RMZ locations for a CORMIX1 simulation of flow class V2 (larger image). Corresponding plan (top) view of TDZ and RMZ locations for a CORMIX1 simulation of flow class V2 (larger image).